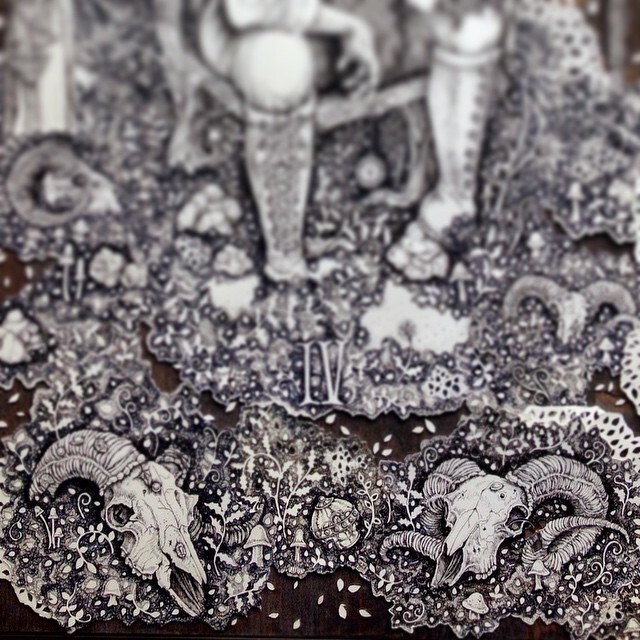 I’ve spent the last month working on a piece for an upcoming Tarot themed show. Below is a preview of the final illustration…more photos to come soon! 16 x 25″ wood, paper & ink featuring cut-outs.